For students, the summer can be an incredibly long time. While you’re young and are low on responsibilities, it’s important to make the most of this. If you don’t have anything planned, it can be easy to waste the whole of your summer break. The summer before you go to university and the summers between each year may be the longest holiday you’ll ever have. When you get out the other side of the higher education system, the financial issues will kick in and you’ll be trying your best to find a full-time job. All this free time is a great opportunity to gain some experience in the field you’re looking to go into and even make some decent cash. If you’re not sure what you want to do, you can spend small chunks of your time working or volunteering in different industries to see what takes your fancy. A holiday is a pretty traditional way to spend your summer break but students like to do things a little differently. When you’re young, you want to explore rather than relax. Why not head over to South America to do some work for charity? or spend a couple of months getting cultured in Europe. Time away is great to take your mind off things and get your head together for getting back to uni or heading out into the ‘real’ world. Who doesn’t like music? There are so many festivals these days, to suit any taste and budget. A festival is a great way to let your hair down and enjoy yourself before getting back to all the hard work. You can also use it to spend some time and catch up with your friends back at home, if you’ve been away for most of the year. Or you can head to another part of the country with some newly-made friends from uni. This might not come immediately to mind as most of you want to have a break when you’re on a break! But reading up on what you’re about to embark upon come the new academic year is a great way to get ahead of the class, as things really start to pile up when things get started in September. Whatever you end up doing this summer, don’t waste it! Or do waste it! It doesn’t really matter what you do. Go out and do something crazy to get it out of your system or spend as much time as you like doing as little as possible. Let this just be some food for thought for you. We all get those days after the night before where life simply becomes unbareable due to the sheer amount of booze we’ve managed to soak through our bodies. The smart part isn’t nessecarily in watching what or how much you drink to avoid in getting in such states, it’s how you handle the hangover. Some irritating people will claim they don’t get hangovers (we call those people liars). Either that or they didn’t drink enough! So how do we handle those times when you can’t bare to face the light of day and just want to hide from the world under the duvet and feel sorry for yourself? Being as prepared as possible is always a good way to go, but sometimes we know that’s just not going to happen. If you can make sure you have as much of the following to hand as you can, then you’ll be well on your way to recovery. These are pretty crucial most of the time. You’re probably going to have a stinking headache and this is the best way to put the pain on-hold. I find that Ibuprofen works much better than Paracetamol, but whatever floats your boat. This stuff is like magic. Drop one of these effervescent beauties in a glass of water and watch in amazement. Then drink back and absorb the goodness. Berroca is packed with plenty of vitamins and minerals to help repair your body and get you back on track. Any fizzy vitamin suplement should do the trick here though. Just hear me out! This is a smart trick a friend taught me at uni. Stick a glass full of ice next to your bed and it’ll melt overnight. This leaves you with lovely cold water when you finally come around the next day. This will help cure your dehydration and get rid of your headache. Once you’ve managed to sort your head out and have scraped yourself out of bed, it’s time to start thinking about filling your stomach to soak up all of that booze. Eating is one of the best things to help you get over your hangover. You’re going to need salt and protein. Eggs, bacon and some bread or toast will really help fill you up, provided you can handle eating anything. It’s a tried and tested hangover cure; the greasy spoon. If you’re not ready to tackle somehting quite as challenging as the standard full english, fruit is certainly the next best thing. It’s generally easier to get down and it’s packed with goodness and plenty of water which will all help in the recovery process. Having a shower and cleaning your teeth can go a long way to making you feel better the morning after. Sometimes this is absolutely necessary if you have places to be. There are even dedicated shower gels which are aimed at revitalising your hungover body. A quick clean of the teeth can have a huge impact too. No doubt your mouth will feel like something has died in there following your night on the juice. These tips and tools should get you somewhere near a fresh body and mind after your evening of sin. If you have any magic ideas yourself, we’d love to hear them. Just leave them in the comments! This is the standard for communication online. It’s been around for ages and won’t be going anywhere soon. Your University and lecturers will most likely send you all sorts of important information straight to your inbox. You need to keep organised so you don’t miss anything. Start by creating labels, filters, folders or whatever your email service has to offer to help categorise different emails. You can have a folder for each module of your course for example. Doing research online is incredibly productive, there’s so much at your fingertips. There are many great online resources that let you scour for books, papers and journal entries. Depending on what you study, having access to these journals may be more important than being able to go down to the library, as books are likely to be more out-of-date. Most Universities will provide remote access to their periodicals, so it doesn’t matter where you are. You just need a computer with Internet access. The Internet also provides a gateway to many other mediums which may prove beneficial to your learning. Blog posts, podcasts and videos – while not being suitable for referencing – may help you digest the information you need to complete your assignments. As you travel round the web use can start to curate your own bookmark list of relevant articles and snippets. This can be a really helpful resource when it comes to your assignments. If you have all the relevant sources and information nicely tagged and categorised on your bookmark list. Clever curation and a well thought out organisational structure will really prove its worth when it comes to exams and deadlines. Bookmarking can also be a great way to start where you left off between study sessions. No need to head for the search engine to find the article you were reading. Even with all this information at your fingertips, sometimes it’s best just to dig into a book. If this book is something you only need for a semesters work, you’re not going to want to pay full price for it. Unless you can sell it for a reasonable price once it’s no longer needed. 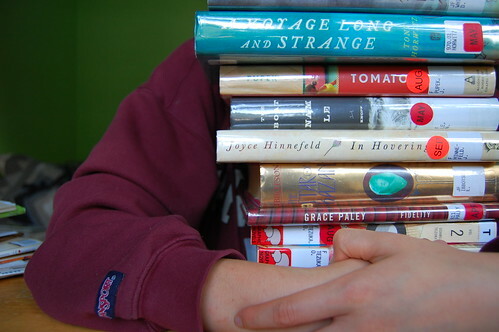 There are plenty of place online where you can find used books being sold very cheaply. Much of these are in very good condition and will be perfect to see you through your assignment. Ebay and the Amazon Marketplace come to mind. The Internet is primed for connecting with new people and for staying in touch with others who may be far away. Leaving for University can be hard, especially if you’re not used to being away from friends and family. The Internet has done an incredible job of shrinking the planet and it’s never been easier to stay in touch. The obvious social networks and video chat will get you through any tough times and allow you to share your new life. On the other side of this, is meeting new people. At University you’re thrown in at the deep end and there are so many new faces. It’s not hard to make friends when everyone is in the same boat. Getting connected online is just a great way to facilitate this. The new App from Wetherspoons gives you access to exclusive offers and you can even win for your Uni fees to be paid for a year! Head to the App Store and search for “Wetherspoons Unlocked” or click here for more details. How to make a bed! Ok guys, I’m reaching out to some of you Freshers here. You’re about to get thrown in the deep end of life and will have to look after yourself. A scary prospect? The lack of domestic skills among students can be pretty shocking. I knew a guy who didn’t know how to cook pasta! Other people I lived with could whip-up the most incredible meals from nothing. I sat somewhere in the middle. For those of you who need a little guidance and will appreciate the tips, we’re here for you. After all, student survival is in our name! To get you started here’s a handy video we found on making a bed. We know some of you wont have had to do this before. So, get the sheets out and start practicing!